one at Butlins Minehead, is the second main reason that guests return each year. UK holiday operator Butlins has unveiled ambitious plans to build a new state-of-the-art swimming facility at its Bognor Regis resort. If given the go ahead, the new £30 million aquatic complex would include a lido, an indoor wave pool, a toddler pool, two flumes and a brand new outdoor rapid river, as well as new changing facilities. It would replace the resort’s existing pool, which is more than 30 years old. A planning application will soon be submitted to relocate the pool from the west of the holiday resort to the east. 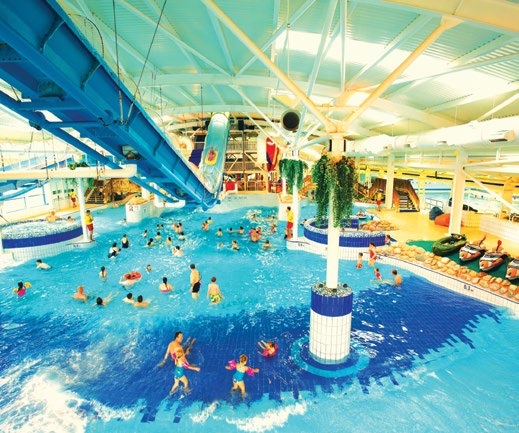 If granted planning permission, Butlin’s hopes to open its new pool in the summer of 2018. The current pool will remain in use until then. Speaking to the Bognor Regis Observer, Resort Director Jeremy Pardey said: “This exciting facility would bring us into the 21st Century and we believe give Bognor the best swimming pool in the country.